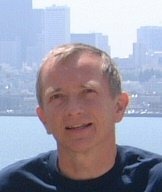 Paul is a database systems expert, having worked in program development, sales & marketing, and open systems standards during his 30 years in the computer industry. He currently works at Oracle Corporation. After growing up in the mid-West, he attended Harvard and remained in the Cambridge and Boston area until 1989. Paul and his partner have lived in Montara for four years and plan to retire in their home here. Paul believes that government should serve the public interest, not special interests. Policies must promote long-term health and sustainability of the community and the global environment, rather than fostering get-rich-quick schemes that leave cleanup costs to future taxpayers. Local control of local decisions by local residents, who are directly affected and must live with the outcome of their choices, is the key to effective government. Distant control by lobbyists who exploit communities they never visit, never understand, never see suffer, is a certain recipe for disaster.